11406 Jefferson Trace Blvd Louisville Ky is a beautifull updated home in the Jefferson Trace neighborhood.The welcoming foyer showcases hardwood flooring & opens to both the Dining Room & Living Room. The Dining Room is accented by crown molding & decorative tray ceiling. The two story Great Room is eye catching with palladium window, fireplace, & built in bookshelves. The Eat In Kitchen showcases stainless appliances, recessed lighting, breakfast island, hardwood flooring, & granite counters. the first level also includes a study, half bath, & laundry room. New owners will appreciate the Master Suite wtih tray ceiling & large Master Bathroom with double vanity, jacuzzi tub, & shower. 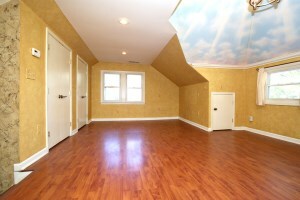 The upper floor also offers a huge Bonus Room, 3 more bedrooms, & a Full Bath. 11406 Jefferson Trace Blvd Louisville Ky has a full unfinished basement with a roughed in bathroom. The covered back deck is an incredible place to relax and has been recently expanded.The property has a three car garage & quick access to expressways. You'll also love access to the neighborhood pool & clubhouse! Call 502-371-1173 for more information about this amazing home in Louisville! 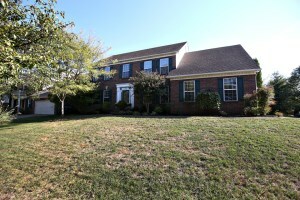 7500 Eric Edward Way Louisville KY 40220 is a beautiful home for sale in sought after Bradford Grove! The floor plan includes three Bedrooms and two and a half bathrooms. The Great Room is lovely with hardwood floor, built in book shelves, palladium window, & fireplace with tile surround. The Formal Dining Room showcases chair rail, hardwood flooring, & crown molding. 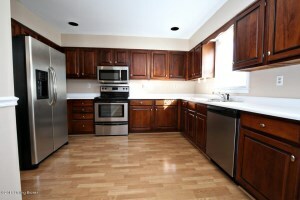 The Kitchen offers plenty of cabinet space along with a double sink, stainless appliances, & comfortable dining area. The first level also includes two Bedrooms & a Full Bath. Upstairs you'll find a spacious Master Bedroom with elevated ceiling, walk in closet, & attached Master Bath. 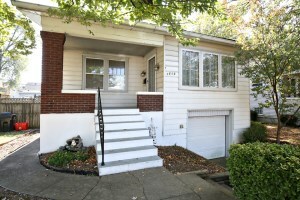 7500 Eric Edward Way Louisville KY 40220 has a basement Family Room, Laundry, Half Bath, & another finished room. The back of the home has a relaxing deck. There is also a 2 car attached garage. Bradford Grove is a desirable neighborhood with a clubhouse & pool. Call 502-371-1173 for more information about this fantastic home in Louisville. Join At Home In Louisville Real Estate Group this Sunday November 20th at our lovely listing on Shady Ln. You'll love the awesome location in the Highlands! The property has great curb appeal, attractive interior finishes, & is completely move in ready! Call 502-371-1173 for more information! Directions:Eastern Parkway to Norris Place, E on Norris Pl to Shady Ln, L on Shady Ln. At Home In Louisville Real Estate Group invites you to join us this Sunday, November 13th from 2-4 at our listing on 9900 White Blossom Blvd. This is a gorgeous 3 Bedroom home in Springhurst! 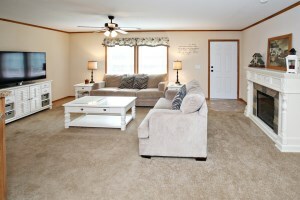 You will fall in love with the floor plan, back yard, & neighborhood amenities! 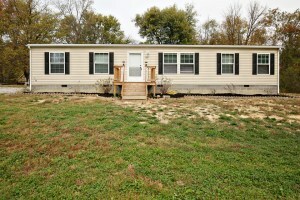 Call 502-371-1173 for more information on this property! My husband and I decided to try Louvino for the first time last weekend. 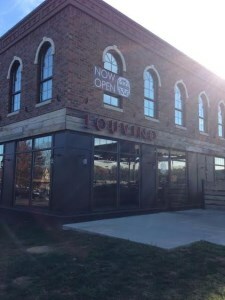 We arrived at the Louvino in Middletown for brunch and were very pleased with both of our meals. 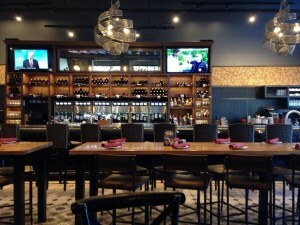 Louvino has two locations in Louisville, one in the Highlands and another in the Douglas Hills area of Middletown. A third location will open in Fishers, Indiana soon. The restaurant features small plate meals. The staff advises ordering more than one plate per person as the portions are slightly smaller than a full mean. The idea is to eat family style and allow everyone to try several menu items. The establishment also offers an extensive wine menu with over 70 options available and a variety of wine flights. They also serve bourbon & beer. Happy hour is from 4-6pm Tuesday-Friday at the Douglass Hills/Middletown location. Louvino is open for lunch & dinner Tuesday through Saturday and for brunch on Sundays. We tried the brunch menu on our visit. We would really like to go back and sample the wine & dinner plate options. For brunch, Louvino serves mimosas & bloody marys. Several around us placed orders for bloody marys and they looked delicious. We decided to stick to two meals to start and found we had plenty of food. We ordered the Maple Eggs Benedict & the Chicken Biscuit Sliders. Both dishes were great. The Maple Eggs Benedict was a nice variation of eggs benedict served over a grit cake with a maple hollandaise sauce. The chicken biscuit sliders were yummy- mildly spicy with a nice aoli sauce & pepper jack cheese. Louvino is a lovely restaurant in Louisville, KY. Give us a call at 502-371-1173 with questions about things to do in Louisville or to discuss Louisville Real Estate. 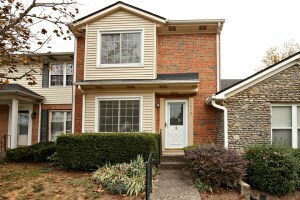 8619 Locust Ct Louisville Ky 40242 is a fantastic two Bed two and a half bath condo in the Dove Creek neighborhood! 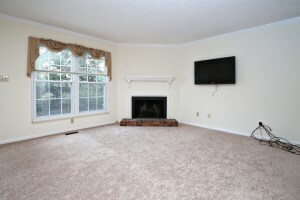 The Living Room is spacious with a fireplace & crown molding. The Dining Area is accented by chandelier fixture. 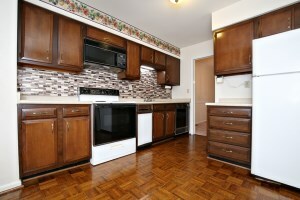 The Eat In Kitchen showcases plentiful cabinetry, tile back splash, & hardwood floor. There is also a half bath on the 1st floor. The Master Bedroom is positioned on the 2nd level with attached Master Bath & a walk in closet. There is also another Bedroom & Full Bath on the second floor. 8619 Locust Ct Louisville Ky 40242 has a basement with a large Family Room with buitl in bookshelves, bar, & hardwood flooring. There is also great storage space & a Laundry area in the remainder of the basement. The back fo the home offers a relaxing patio for outdoor dining & entertaining. Wonderful property in a desirable area! Call 502-371-1174 to learn more about this condo in Louisville! 3509 Hillview Dr Louisville KY 40229 is a lovely three bedroom two full bath home positioned on a 1.6 acre lot within Jefferson County! 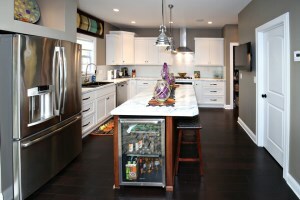 The home was built just a year ago and displays neutral walls throughout. Move right in! The large front yard & tasteful design create an inviting atmosphere. The Living Room offers plenty of natural light. The Kitchen & Formal Dining Room are connected with access to the back deck from the Dining Room. The Kitchen includes a beautiful island breakfast bar with stone accent as well as a double sink, stainless applianes, & pantry! The Master Bedroom showcases a walk in closet and Master Bath with jacuzzi tub, shower, & double vanity. The floor plan also features two more Bedrooms, a Full Bath, & a Laundry Room with cabinetry & sink! 3509 Hillview Dr Louisville KY 40229 also offers a relaxing back deck with peaceful views of the property beyond. Call 502-371-1173 to view this lovely home in Louisville, KY!. 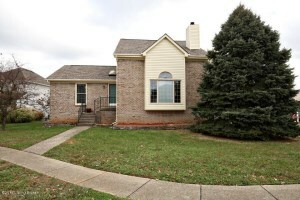 1712 Shady Ln Louisville Ky 40205 is a wonderful three Bedroom, 2 Full Bath Cape Cod in the desirable Highlands area! New owners will appreciate the pleasant curb appeal & welcoming front porch entry. 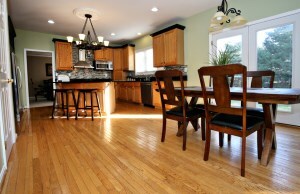 Hardwood flooring flows throughout most of the floor plan. 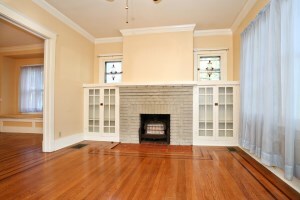 The Living Room is spacious with buit in bookshelves, crown molding, & a fireplace. The Dining Room showcases a window seat with storage as well as crown molding & a decorative chair rail. The Kitchen includes a convenient double sink. The first floor also includes two Bedrooms & a Full Bath. Upstairs you'll find a fantastic Master Suite with a vaulted ceiling & attached Master Bathroom with walk in shower & abundant storage! 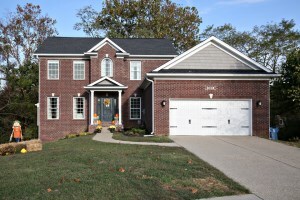 1712 Shady Ln Louisville Ky 40205 has a basement which offers great storage space or room for future completion. The back yard is surrounded by a full wood privacy fence and the large deck is perfect for outdoor entertaining. The paved area below the deck is great for storing lawn equipment. The home offers a newer roof with a fifty year warranty! The property also has a dual HVAC & newer water heater. The plumbing & electricity has been updated. There is a 1 car attached garage! Truly a fantastic find for anyone seeking a home in the Highlands! Call 502-371-1173 for more information about this home in Louisville! At Home in Louisville Real Estate Group invites you to tour our two new listings this Sunday November 6th from 2-4pm! 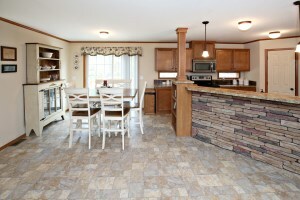 1712 Shady Ln is a beautiful 3 Bed, 2 Full Bath Cape Cod in the Highlands! 3509 Hillview Dr is a 3 Bedroom, 2 Full Bath home on 1.6 acres. Both homes are completely move in ready! Call 502-371-1173 for more information on either property or visit with us this Sunday at these Open Houses in Louisville! 6915 Catalpa Springs Dr Louisville Ky 40228 is a wonderful home with three bedrooms and two and a half baths on a cul-de-sac in Catalpa Springs! The property is pleasantly landscaped with a welcoming front foyer. 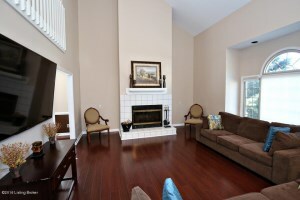 The Family Room with hardwood floooring showcases fireplace, natural light, & recessed lighting. 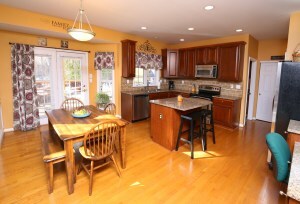 The Dining Room also has hardwood flooring as well as crown molding accent. New owners will love the Kitchen with white cabinetry, tile back splash, recessed lighting, stainless appliances, & breakfast bar. There is a first level half bath and laundry room. The second story Master showcases a tray ceiling and walk in closet with a luxurious Master Bath complete with walk in shower & double vanity. The 2nd level also houses 2 more Bedrooms and a Full Bath. 6915 Catalpa Springs Dr Louisville Ky 40228 offers a large unfinished basement with plenty of space for storage or future completion. The back of the home is a quiet retreat with a double deck. The property has a central vac, whole house audio, & a 2 car garage. Call 502-371-1173 to schedule a showing or discuss homes in Louisville, KY.
9900 White Blossom Blvd Louisville Ky 40241 is a stunning home in the Springhurst subdivision! The floor plan offers 3 Bedrooms and 3 1/2 Bathrooms and opens to a lovely two story foyer with hardwood floor. Just off of the foyer, you'll find the executive study. The Living Room showcases crown molding. The Formal Dining Room is accented by chandelier fixture & tray ceiling. 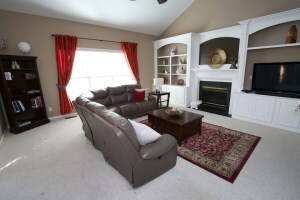 The Family Room is large with plentiful natural light, fireplace, & built in bookshelves. The Kitchen is perfect for the cook in your household with abundant cabinetry, double sink, recessed lighting, stainless appliances, granite counters, tile back splash, & kitchen island. French doors in the kitchen dining area access the back patio. The first floor also includes a half bath & a laundry room with slate tile floor, cabinetry, & utility sink. The second level of 9900 White Blossom Blvd Louisville Ky 40241 opens to a fantastic loft. The Master Bedroom features a vaulted ceiling & spa like Master Bath wtih marble tile floor, double vanity, shower, jacuzzi tub, & walk in closet. Two more Bedrooms and a Full Bath round out the second floor. The basement includes a spacious Family Room with home theatre, a recreation/playroom space, & another completed room as well as a Full Bath. New owners will appreciate the lovely back yard & relaxing patio. The property also includes a two car side garage. Springhurst is a highly desirable neighborhood in Louisville, KY with tennis court, playground, clubhouse, & pool! Call 502-371-1173 today to learn more about this spectacular property! It was an absolute pleasure working with your team. You have our recommendation for anyone we know moving in the future! Working with Keller Williams- At Home in Louisville was a great experience and made the process of buying our first home easy and enjoyable. 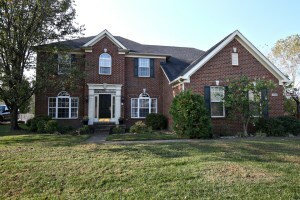 We are thrilled with our new home, and highly recommend our realtor Melanie Jones and At Home in Louisville.